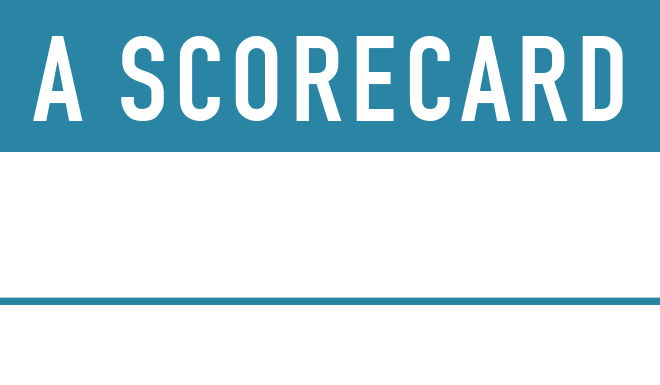 A Scorecard for Humanity, and the book How Much have Global Problems Cost the World? A Scorecard from 1900 to 2050, fit into the ongoing conversation between optimists and pessimists for the last half century. The central question has been: what is the state of the world? The worries of overpopulation, starvation, pollution and running-out-of-everything staked out the pessimist case. The happy-go-lucky attitude gloating in the infallibleness of the market economy stood for the optimists. Cutting out hyperbole about the world's biggest issues. Copenhagen Consensus Center's How Much have Global Problems Cost the World? A Scorecard from 1900 to 2050 (Cambridge University Press, Oct 10) measures the main problems on a comparable scale and without the opportunity to just focus on particular areas or statistics that reinforce the optimist or pessimist case. In this project we asked some of the world’s top economists – experts on 10 overarching issues (these run from disease to biodiversity and conflict, from climate change to education and gender inequality) to quantify the damage caused from e.g. poor health, biodiversity loss and wars from 1900 and till 2050. They compare this damage - on a regional and global level - to the total human wealth at that time to give a comparable sense of proportion across areas and across time. This essentially measures the problem in percent of world GDP. The result is a state-of-the-art review of 150 years of the problems, and for many areas one of or the first economic evaluation of the entirety of the problem. Research for A Scorecard for Humanity and How Much have Global Problems Cost the World was funded by the Danish state. Cambridge University Press has published the book that resulted from the project, it is available in both hardcopy and electonic format.